We present a simple and powerful algorithm for parallel black box optimization called Successive Halving and Classification (SHAC). The algorithm operates in $K$ stages of parallel function evaluations and trains a cascade of binary classifiers to iteratively cull the undesirable regions of the search space. 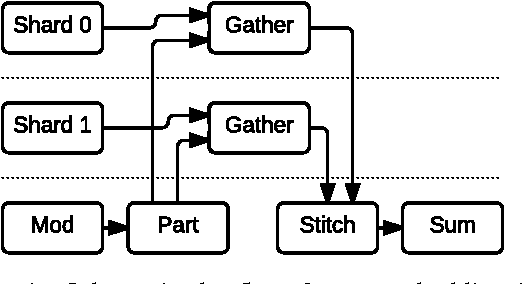 SHAC is easy to implement, requires no tuning of its own configuration parameters, is invariant to the scale of the objective function and can be built using any choice of binary classifier. 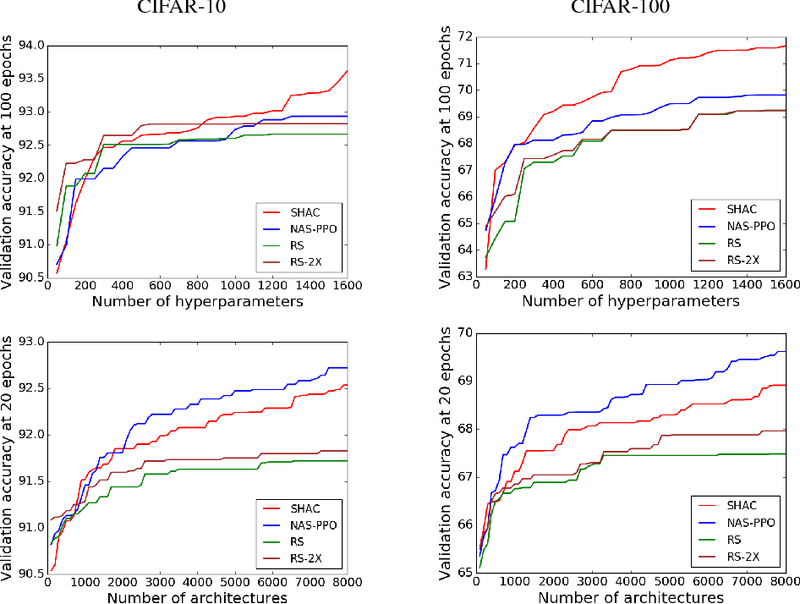 We adopt tree-based classifiers within SHAC and achieve competitive performance against several strong baselines for optimizing synthetic functions, hyperparameters and architectures. Developing neural network image classification models often requires significant architecture engineering. In this paper, we study a method to learn the model architectures directly on the dataset of interest. As this approach is expensive when the dataset is large, we propose to search for an architectural building block on a small dataset and then transfer the block to a larger dataset. The key contribution of this work is the design of a new search space (the "NASNet search space") which enables transferability. 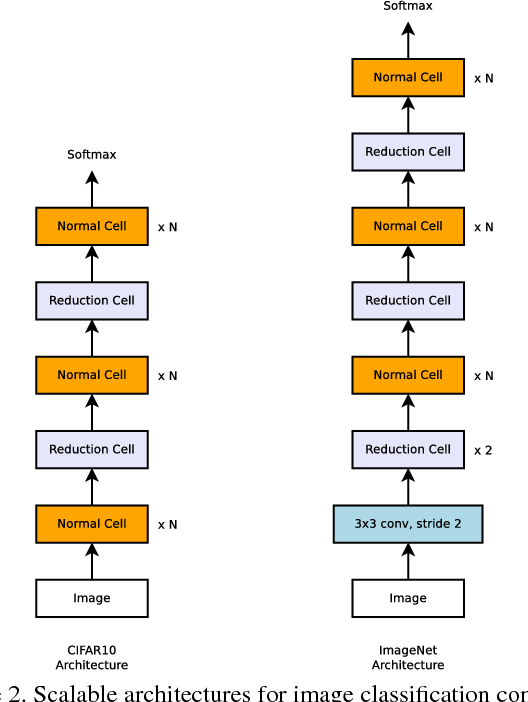 In our experiments, we search for the best convolutional layer (or "cell") on the CIFAR-10 dataset and then apply this cell to the ImageNet dataset by stacking together more copies of this cell, each with their own parameters to design a convolutional architecture, named "NASNet architecture". We also introduce a new regularization technique called ScheduledDropPath that significantly improves generalization in the NASNet models. On CIFAR-10 itself, NASNet achieves 2.4% error rate, which is state-of-the-art. 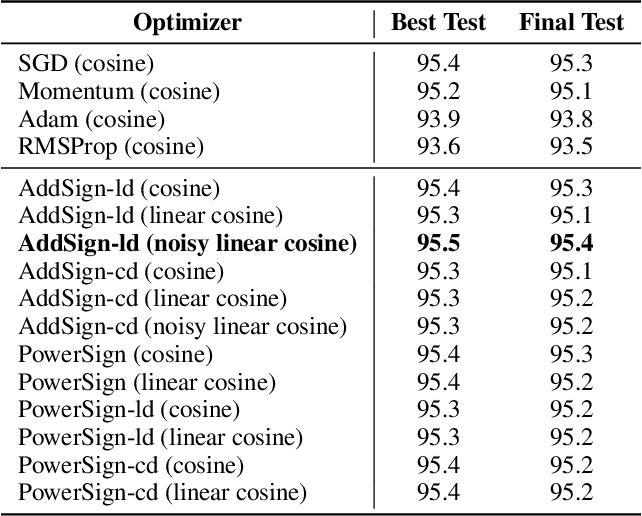 On ImageNet, NASNet achieves, among the published works, state-of-the-art accuracy of 82.7% top-1 and 96.2% top-5 on ImageNet. Our model is 1.2% better in top-1 accuracy than the best human-invented architectures while having 9 billion fewer FLOPS - a reduction of 28% in computational demand from the previous state-of-the-art model. When evaluated at different levels of computational cost, accuracies of NASNets exceed those of the state-of-the-art human-designed models. For instance, a small version of NASNet also achieves 74% top-1 accuracy, which is 3.1% better than equivalently-sized, state-of-the-art models for mobile platforms. Finally, the learned features by NASNet used with the Faster-RCNN framework surpass state-of-the-art by 4.0% achieving 43.1% mAP on the COCO dataset. Designing convolutional neural networks (CNN) models for mobile devices is challenging because mobile models need to be small and fast, yet still accurate. Although significant effort has been dedicated to design and improve mobile models on all three dimensions, it is challenging to manually balance these trade-offs when there are so many architectural possibilities to consider. 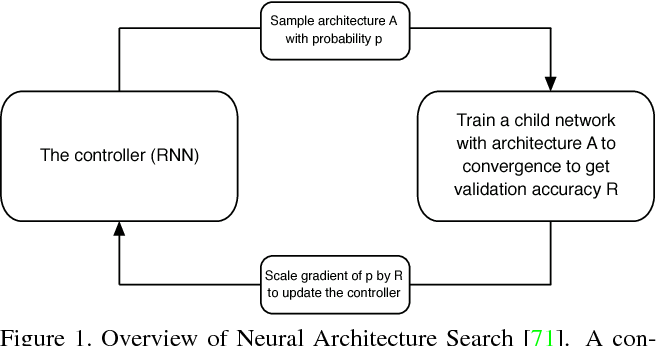 In this paper, we propose an automated neural architecture search approach for designing resource-constrained mobile CNN models. 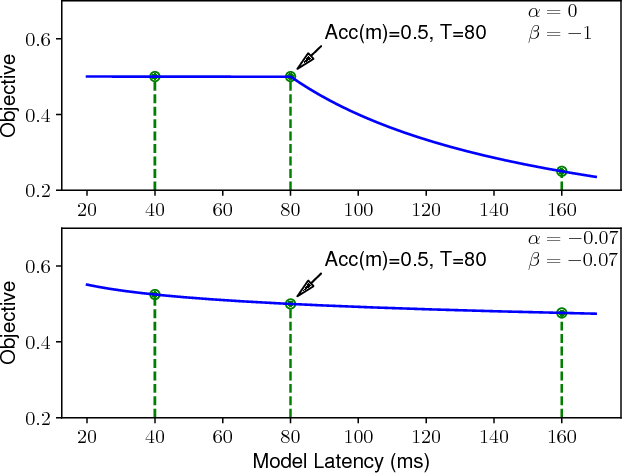 We propose to explicitly incorporate latency information into the main objective so that the search can identify a model that achieves a good trade-off between accuracy and latency. Unlike in previous work, where mobile latency is considered via another, often inaccurate proxy (e.g., FLOPS), in our experiments, we directly measure real-world inference latency by executing the model on a particular platform, e.g., Pixel phones. To further strike the right balance between flexibility and search space size, we propose a novel factorized hierarchical search space that permits layer diversity throughout the network. Experimental results show that our approach consistently outperforms state-of-the-art mobile CNN models across multiple vision tasks. 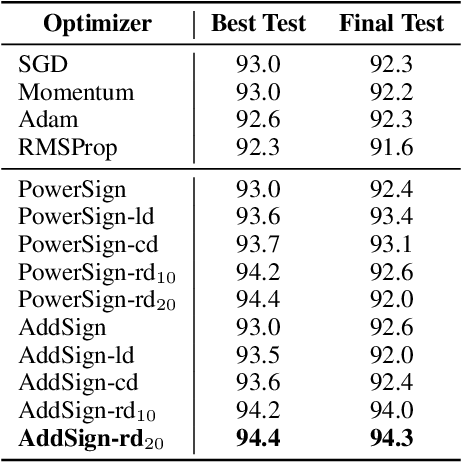 On the ImageNet classification task, our model achieves 74.0% top-1 accuracy with 76ms latency on a Pixel phone, which is 1.5x faster than MobileNetV2 (Sandler et al. 2018) and 2.4x faster than NASNet (Zoph et al. 2018) with the same top-1 accuracy. On the COCO object detection task, our model family achieves both higher mAP quality and lower latency than MobileNets. 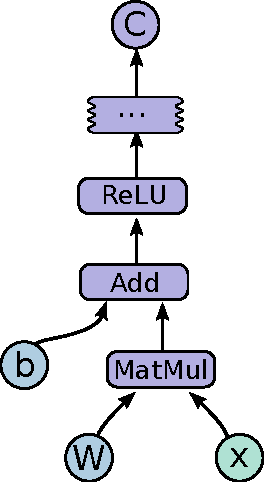 Transfer learning is a widely used method to build high performing computer vision models. In this paper, we study the efficacy of transfer learning by examining how the choice of data impacts performance. We find that more pre-training data does not always help, and transfer performance depends on a judicious choice of pre-training data. These findings are important given the continued increase in dataset sizes. We further propose domain adaptive transfer learning, a simple and effective pre-training method using importance weights computed based on the target dataset. 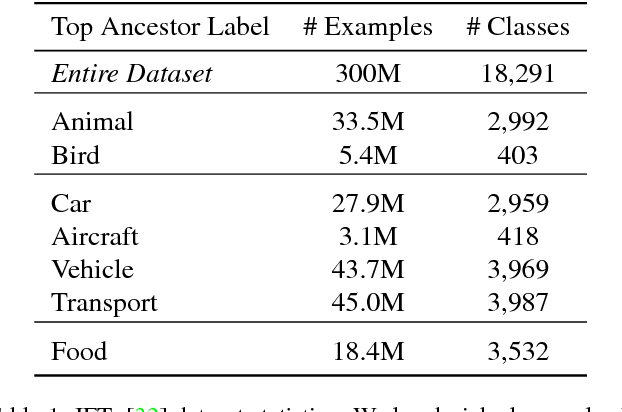 Our method to compute importance weights follow from ideas in domain adaptation, and we show a novel application to transfer learning. Our methods achieve state-of-the-art results on multiple fine-grained classification datasets and are well-suited for use in practice.